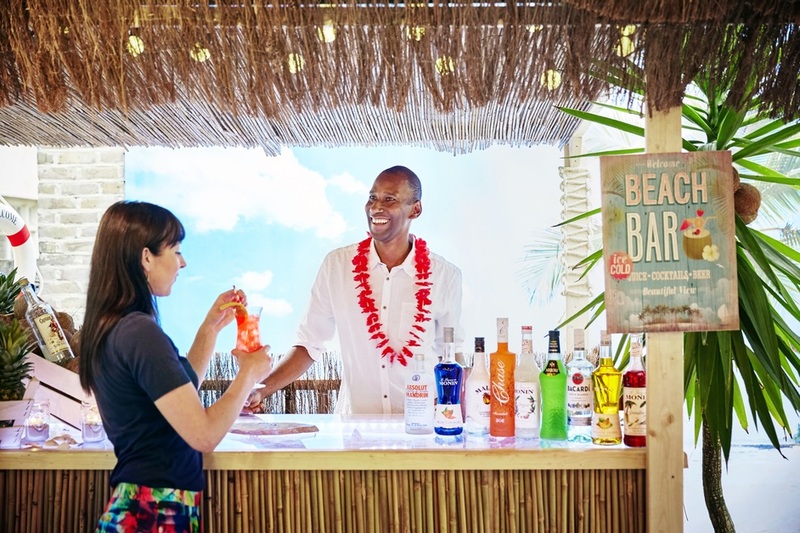 Enjoy a Bahamian beach setting, complete with real sand underfoot and a beach-hut style thatched roof, at The Beach Bar at The Montaguehotel in Bloomsbury. A summer menu of tropical cocktails and barbequed burgers is sure to satisfy those cravings for a summer break by the surf. Even better, in June you can book in for a tasty two-hour bottomless brunch; choose from a menu of tropical cocktails and enjoy two-hours of unlimited refills. Brunch-inspired sharing platters include avocado and smoked salmon on granary toast, black pudding scotch eggs and Cumberland sausage with red onion chutney in a brioche bun with vegetarian and vegan options also available on request. NOTE: for brunch you'll be seated in the hotel's sunny conservatory, but will have full access to the Beach Bar on the outdoor Wood Deck for 'beach side' cocktails. Easter Holiday Activity: Make Your Own Spring Bunting! What are the best dining options near The Beach Bar at The Montague London? The Beach Bar at The Montague gyms, sporting activities, health & beauty and fitness. The best pubs near London The Beach Bar at The Montague. The Beach Bar at The Montague clubs, bars, cabaret nights, casinos and interesting nightlife. Where to have your meeting, conference, exhibition, private dining or training course near The Beach Bar at The Montague. From cheap budget places to stay to luxury 5 star hotels see our discounts for Afternoon Tea at The Montague hotels, including Grange Blooms Hotel London from 84% off.